Street dancing describes a range of funk and hip-hop dance styles that have grown from the USA since the 1970s. Improvisation lies at the core of street dancing, with participants allowing rhythmic music to shape the movement of their bodies. Students can also work towards accredited qualifications that lead up to Level 3 on the Regulated Qualifications Framework (RQF) acquiring UCAS tariff points as part of Trinity Laban Arts Award. Would you like to audition? We are looking out for the candidate’s potential, focus, attitude and team work. No previous experience required. Learn to seamlessly blend musicality, emotional expression, line and extension with acrobatic movements in a choreographic context. Focusing on flexibility, strength, balancing, limbering and tumbling. Lyrical dancing is performed to music with lyrics to inspire movements to express strong emotions felt from the lyrics in the chosen song. Students work on their individual technique and choreography. Devised for our advanced students that wish to take their dance training to the next level to build on performance experience and technique. Classes are dived into different age groups, however ability level is also taken into account. Our three age groups are: 4-7 years, 7-11 years and 11+ years and this has been set to correlate the Academy’s curriculum. See tabs for some more information regarding class content. If you do have any questions or concerns, please don’t hesitate to contact us. Our street dance classes aim to develop technique, ability, skills and confidence in an energetic, challenging but encouraging environment. Lessons consist of learning new choreography to the latest chart hits, breakdance, house-dance, commercial dance and tutting. Students will also be provided with the opportunity to learn how to perform as a dynamic dance crew and also how to freestyle. For younger children, street dance lessons are perfect for developing their gross motor skills. Create pieces from famous musicals such as Annie, Matilda, The Lion King, The Sound of Music and Wicked. Lessons aim to build a solid foundation to develop ability, awareness, confidence and key skills essential to all stage performers. 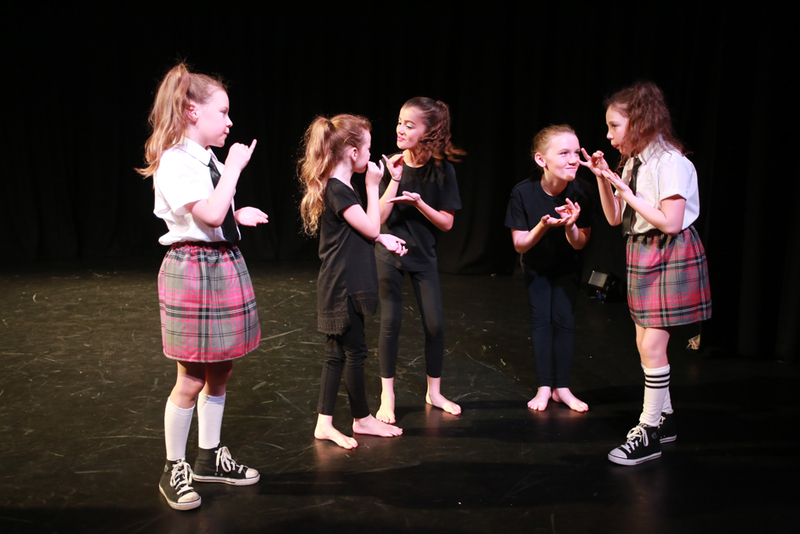 In this carefully structured musical theatre programme, classes involve drama, acting technique, speech, characterisation work, vocal projection, improvisation, role play, stage presence, scripted material work and staged movement. 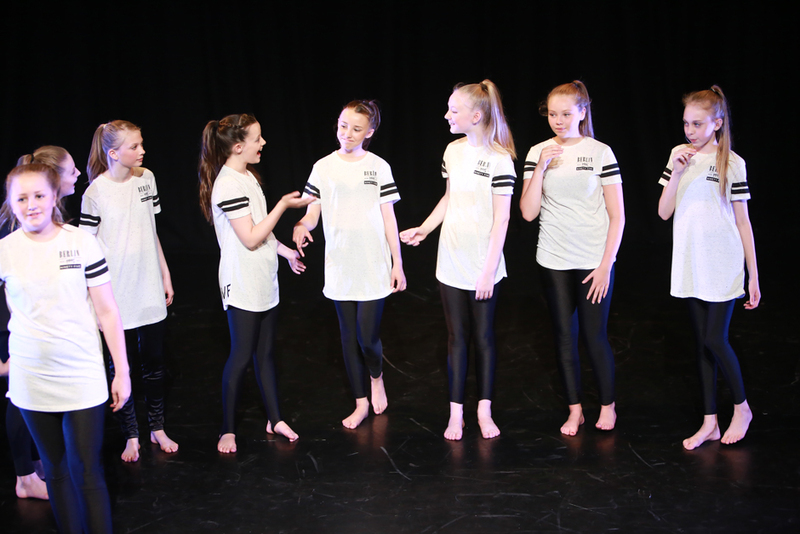 Students learn musical theatre repertoire to perform on stage in theatre productions in front of a live audience. Students can also work towards accredited qualifications that lead up to Level 3 on the Regulated Qualifications Framework (RQF) acquiring UCAS tariff points as part of Trinity Laban Arts Award. Here at On The Edge Academy we have our very own cheerleading squad known as ‘Edge Elite’. Entry to the squad is by audition only. Our cheerleaders compete in competitions such as the British Cheerleading Association (BCA) and ICE Competitions as well as in theatre performances and showcases. Please note, previous experience is not required and in the audition we look out for the candidate’s potential, focus, attitude and team work. Focusing on flexibility, strength, balancing, limbering and tumbling. Students benefit from an innovative curriculum designed by Cirque du Solei and following the Acrobatic Arts syllabus it enables students to take recognised accredited examinations and gain technique required to perform tricks as part of a routine. Learn to seamlessly blend musicality, emotional expression, line and extension with acrobatic movements in a choreographic context. Our jazz and lyrical dance classes are closed lessons accessed by invitation only. The lessons consist of our students getting prepared for jazz and lyrical dance competition work. Students work on their individual technique and choreography.